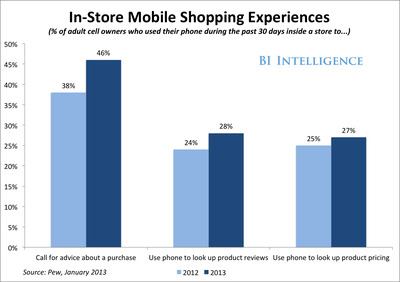 A majority of U.S. consumers have used their phones inside stores in ways that might influence their purchase. According to Pew, 58 per cent of U.S. cell users have used their phone in-store to call a friend or look up product reviews and pricing. The trend is likely to accelerate, given that younger users do it even more often: among 18 to 29-year-olds, 78 per cent had used their cell phones in-store. 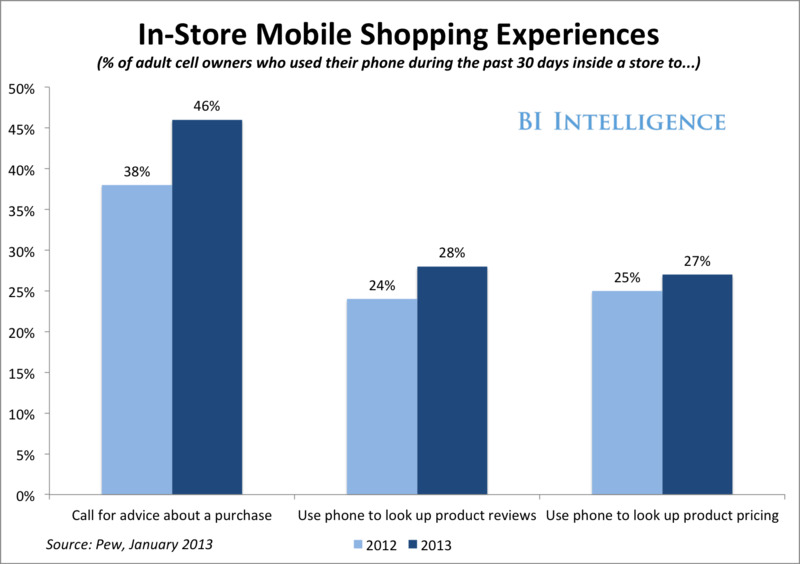 Interestingly, the most popular mobile activity in-store was calling a friend for advice, reinforcing the fact that shopping is an inherently social activity. The results emphasise the threat mobile poses to offline retailers. While e-commerce has long been a lurking, abstract competitor, smartphones bring Amazon and other e-commerce players directly into retailers’ bricks-and-mortar domains. According to comScore, mobile accounted for 11 per cent of e-commerce spend in the fourth quarter of 2012.